TheGigabit Review 2019: Is TheGigabit a Good Hosting? 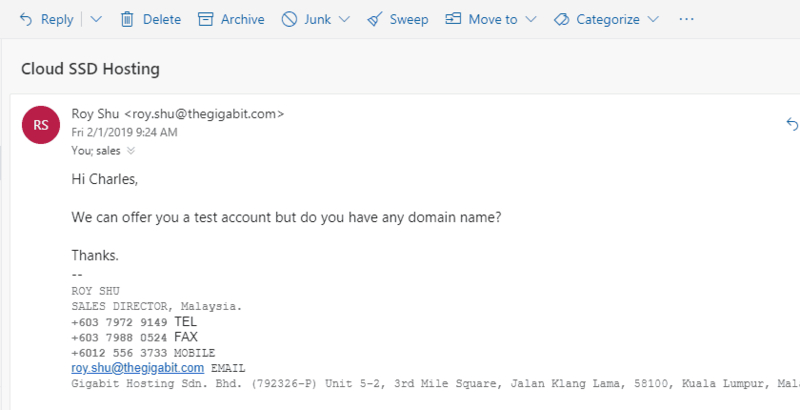 Gigabit Hosting Sdn Bhd, also known as TheGigabit, was founded in 2003 by three passionate and ambitious entrepreneurs who wanted to provide affordable and reliable hosting solutions to customers in Asia and beyond. It was among the first Malaysian hosting companies to provide Public Cloud Services to SMEs. 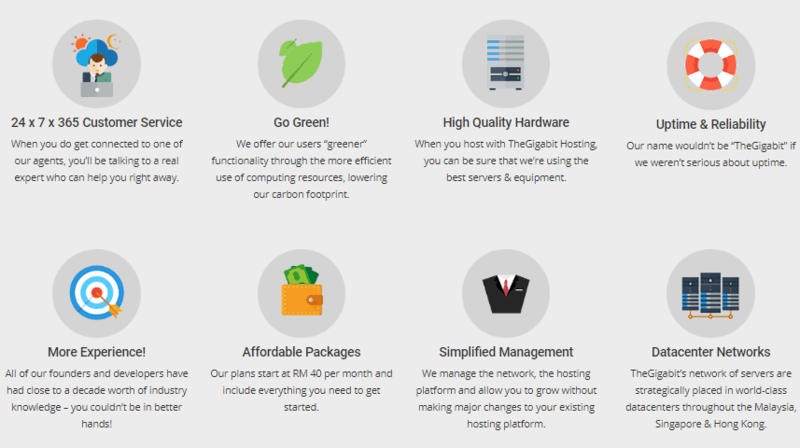 Founded in 2003, TheGigabit is a one-stop-shop for web hosting, dedicated servers, VPS, domains, SSL, and backup and storage solutions in Malaysia. The company is a Platinum Dell Partner and operates thousands of servers which power 1.2 million websites out of world-class facilities in Singapore, Malaysia, and Hong Kong. TheGigabit has multiple high-density data centers with high-grade SSD servers, which are designed and operated in a clustered environment. Speed and performance are built into its hosting platform and that’s why the company offers a 99.982% network uptime guarantee. Even with its entry level hosting packages, TheGigabit customers enjoy faster website response times and high availability. I know many people worry a lot about DDoS attacks, blackmail, and ransomware whose scale and intensity have increased in recent years. The company leverages its GIGADEFENCE anti-DDoS and WAF tool to counter security threats by providing on-demand network security enhancement to businesses such as SMBs, banks, large enterprises, and government agencies that operate large websites with sensitive personal data. One of the interesting features is the China premium bandwidth that lets entrepreneurs and business owners expand their presence to the vast South East Asia and Chinese marketplace. With it, you get a dedicated server with fast connectivity and unlimited space to host multiple websites. When it comes to managing your web space and online resources, you have the option to use Plesk-powered hosting or cPanel-based accounts. Both are user-friendly and loaded with features that make it easy to create, configure, and manage websites, databases, and email accounts remotely. For a reasonable annual fee, you can also order Web app Firewall, a dedicated IP address, and premium SSL. With over a decade of experience in the hosting industry, TheGigabit seems to understand the pain points of its customers and that’s why it provides low-cost but high-quality hosting solutions. Deployment is instant and there are no set up fees. Its hosting plans are packed with features, yet remain easy to use. You can cancel and ask for a refund for shared hosting plans within seven days. With a multi-lingual support team that’s available 24/7, TheGigabit has the capacity to resolve your hosting issues in no time. I was curious to know whether it provides a demo for shared SSD hosting so I sent an email and I got a response within one hour. If you’re starting out, I would encourage you to check out the knowledge base as it has a number of tutorials and guides as well as community page for answers to simple hosting issues before reaching out to their tech support team. With servers in multiple locations, TheGigabit comes across as a hosting company that offers affordable, professional, and high performance hosting solutions to its customers. Wondering how TheGigabit stacks up against other Web Hosting companies? Enter any other Web Hosting company and we will give you a side-by-side comparison.